The America’s Cup is a big deal. I already knew that – but having spent the weekend in Bermuda, host island of next year’s big event, I have witnessed America’s Cup FEVER. Never before have I seen such widespread anticipation for a sailing event. Shops display customised clothes, gifts and gadgets, there are exhibitions across town, huge banners and flags hang from city buildings and locals and tourists combined can talk of little else. It’s positively buzzing. I’m here for the launch of the official hotel for the America’s Cup – the newly renovated Hamilton Princess, a powder pink 400-room masterpiece with a new marina to match. For the lucky few superyachts that manage to bag one of the berths here during the cup, a treat is in store. 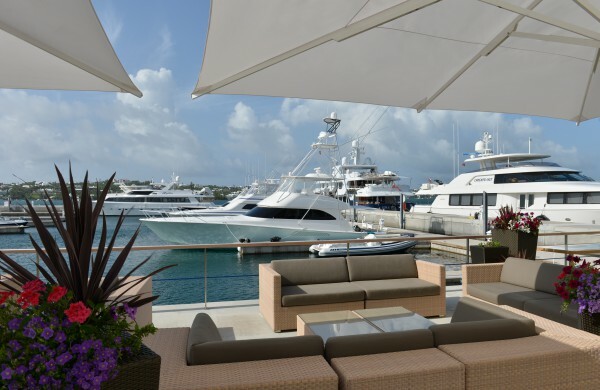 As well as all the perks the hotel offers (vast swimming pools, a breathtakingly beautiful beach club, a spa, an art collection that rivals many galleries…the list goes on), the marina’s location is right next door to the Great Sound, where the racing will take place. No wonder the 59 berths are filling up fast. I stroll the marina with Diarmaid O’Sullivan, the hotel’s marketing director, who tells me more. “A number of owners have already reserved space for next year,” he tells me. “We also have nine J Class yachts coming for the J Class Regatta which is happening at the same time as the cup. 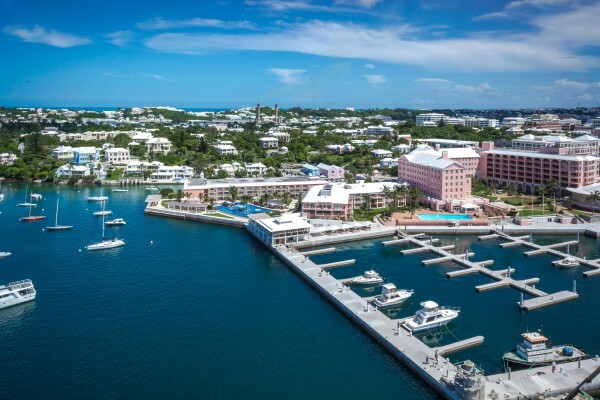 No other marina in Bermuda can offer the services that we offer, plus you’re just five minutes walk to Hamilton.” As we walk along the marina I spot M/Y Carson and M/Y Top Five, among others. Having spent the weekend here, I can vouch for it as a destination in its own right, and I am sure the other invited guests (in their hundreds) would agree. We’ve enjoyed incredible seafood and rum cocktails, dined in Marcus Samuelsson’s new on-site restaurant and spent lazy daytimes overlooking the harbour, spying on Oracle Team USA in training. The America’s Cup itself even turned up to the black tie party on Saturday night – prompting a veritable selfie scrum. “I think the America’s Cup will put Bermuda on the map,” concludes O’Sullivan. And as far as I’m concerned, this hotel and marina already have.